Have you ever been confused about which shoes to wear with an outfit? I'm pretty sure we've all been there multiple times. I've actually written a post or two about it. That was my first world issue the day I wore this outfit. 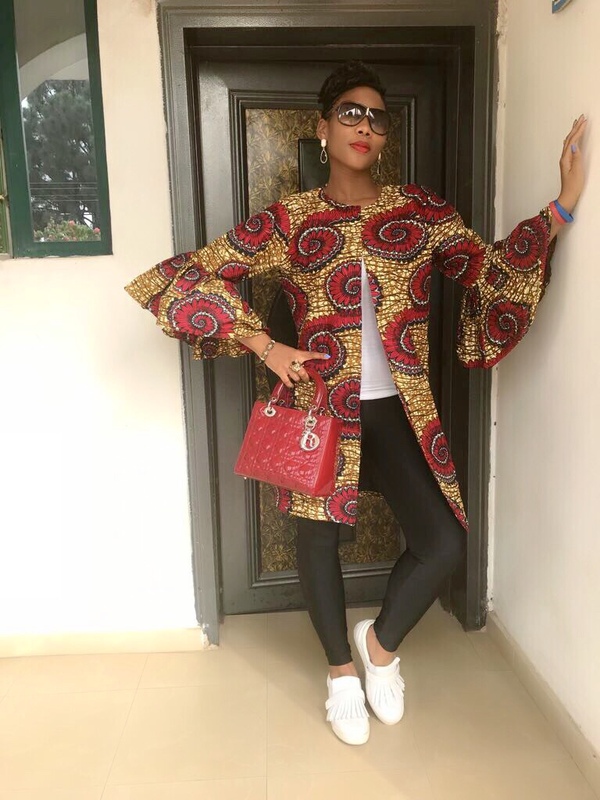 I recently designed and had my tailor make this ankara jacket. I love the fabric so much and was excited to wear it. I had envisioned it with sneakers, dressy heels, pants, skirts and more. My mind was all over the place. I chose to wear it with leggings on the day I launched it, but I didn't know if I wanted to go sporty or dressy. When in doubt, I wear all my options , take pictures, then examine said pictures. Yup, I have all the time in the world sometimes. I did that in today's post and decided that both shoes go well with the jacket. In such a situation, the determining factor would be the occasion or place the outfit is to be worn. In my case, it was a casual setting so I stuck with the sneakers.